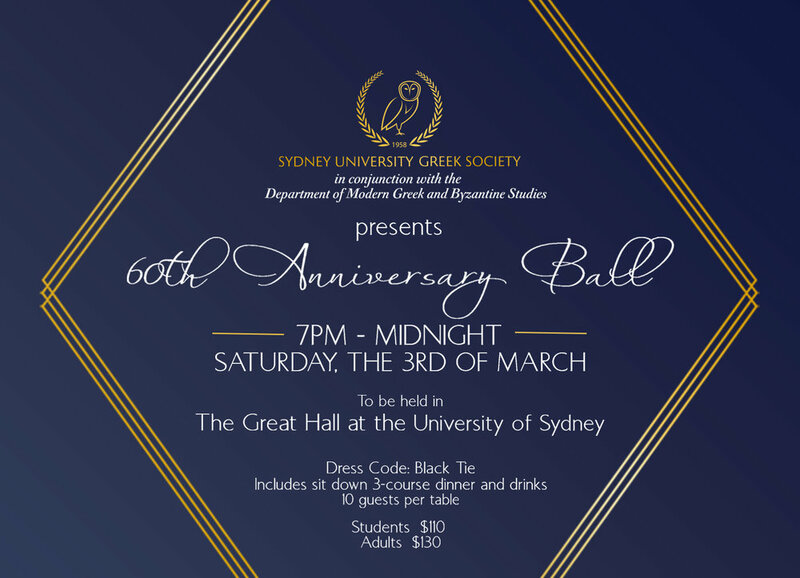 Founded in 1958, Sydney University Greek Society (SUGS) is the oldest of its kind in Australia. It was created with the aim of promoting awareness of, and fostering enthusiasm for, Greek culture and language amongst students at the University of Sydney. Today, SUGS’ mission remains unchanged. Through our regular social events and educational lectures, we function as a gateway to Greece for the University’s hundreds of students. We also work closely with the Department of Modern Greek and Byzantine Studies to promote the study of the language at the University. SUGS welcomes all, and is most definitely not restricted to those of Greek background. Please, feel free to attend our next event and don’t hesitate to make contact! 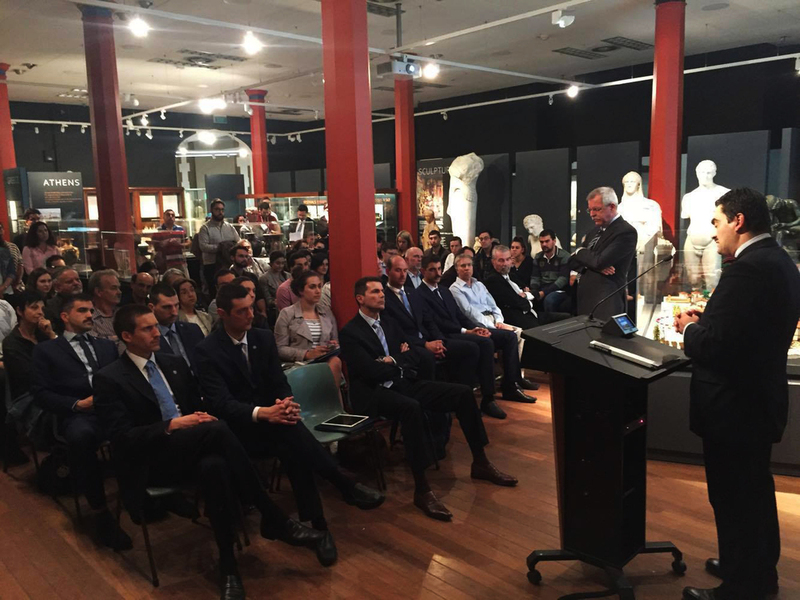 Established in 1974 with substantial support from the Sir Nicholas Laurantus Endowment, Sydney University’s Modern Greek Department is the oldest and largest tertiary centre for Modern Greek language and cultural studies in Australia. It has a rich curriculum which appeals to students from a diverse range of disciplines as well as other universities. Language courses are streamed to cater for students varying skills, ranging from no prior knowledge of the language to native speakers. In addition to Modern Greek literature, the cultural component of the curriculum includes topics on cinema, music, history, sexuality, diaspora, the European Union and more. An exciting highlight of the curriculum is the in-country study unit organised in partnership with the University of Athens. The course is offered annually and incorporates tuition at Athens University as well as immersion in Greek language and cultural issues over a six week period. Many graduates identify this experience as their springboard to postgraduate studies in Modern Greek. The staff are friendly and approachable and maintain a strong presence in national and international circles. They have developed a strong presence within the Sydney University community building partnerships with other departments and bringing a Modern Greek perspective to disciplines such Comparative Literature, European and Medieval Studies. 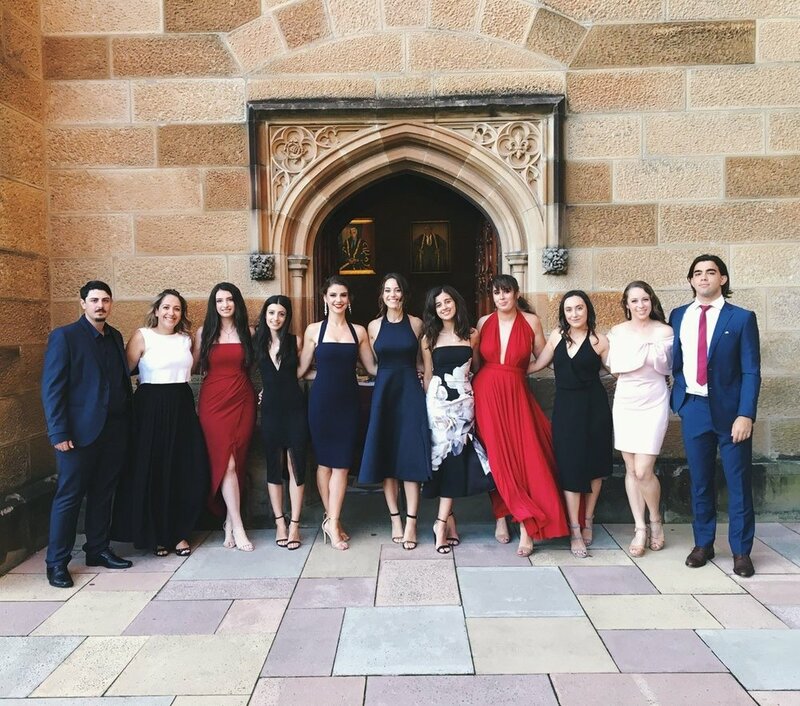 Extra curricular cultural and social activities organised by the Sydney University Greek Society range from the experimental theatre to the traditional Greek BBQ with the enthusiasm and finesse that never ceases to amaze! If you wish to explore the richness of Greek language and culture, understand your family heritage, or simply equip yourself to work in Greece or to enjoy Greek island holidays with the zest of the locals, Modern Greek at Sydney University is the place to be. Those wishing to join SUGS should attend our next scheduled event equipped with their ACCESS card and $5. Please find SUGS' constitution here.